Yung Lean falls short on his album by failing to push forward new techniques. Since the release of his 2013 debut mixtape, “Unknown Death 2002,” Swedish alternative rapper Yung Lean has held an odd place in the hip-hop world. As a European, he started out as an outsider in the largely-American genre. Many Americans viewed his melodic and occasionally nonsensical rap about drugs and sadness as a joke, not to be taken seriously. Over the years, Yung Lean has continued to ignore this criticism and stick to his own style. Since 2013, though, the market for such songs has grown immensely, and Yung Lean’s influence can be heard in the music of many up-and-coming artists like Nav and Lil Peep. Now that his style has become mainstream, Yung Lean must answer the question of whether he can still own it. Last Friday, the self-proclaimed “Sad Boy” released his third studio album, “Stranger.” “Stranger” follows up his 2016 “Frost God” mixtape, which included a long list of features, most notably Harlem rapper A$AP Ferg. On “Stranger,” Yung Lean prefers to stand alone. Over the course of the 14-track project, Yung Lean ambitiously bares himself for the world to take or leave. However, the project’s vision is only partially realized. “Stranger,” while possibly Yung Lean’s most developed album, oscillates between moments of beauty and boredom. “Stranger” is somewhat perplexing. The cover art hints at a dark tone, yet most of the production on the tape is light and airy, similar to what we’ve seen on past Yung Lean projects. The production is actually quite strong and adds to the melancholy atmospheric sound of the album, but it rarely takes Yung Lean in new directions. 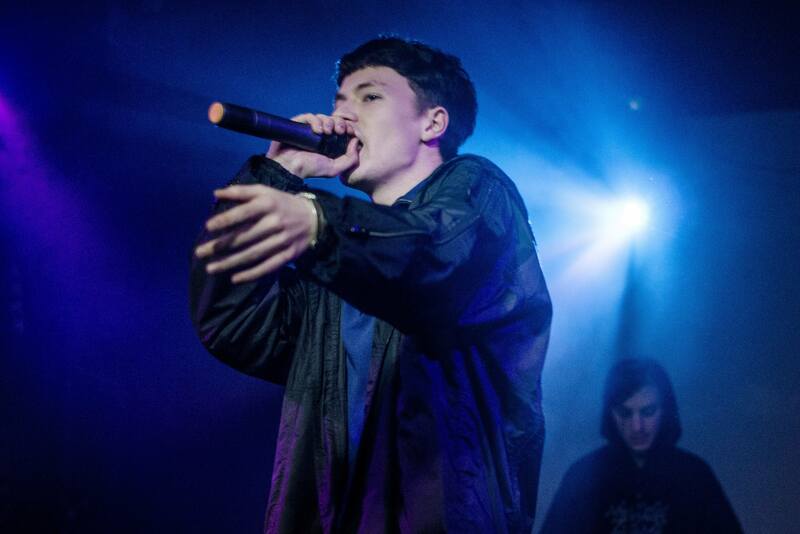 Two exceptions are “Skimask” and “Fallen Demon,” in which the beats are more aggressive and Yung Lean’s flow matches such a tone. “Fallen Demon” paints a dark, chaotic picture of wealth and drugs. Unfortunately, on “Skimask,” Yung Lean takes a less conflicted, more braggadocious approach to these same topics that have been rehashed over and over in hip-hop in recent years. Perhaps Yung Lean’s most attractive quality is his originality. When he is unique, he shines. When he is formulaic, he suffers. The best tracks of the tape take advantage of his unique atmosphere and enhance it with a combination of fantastical imagery and references to drugs and melancholy. Over the spacey beats of “Stranger,” Yung Lean alternates between nonchalant rapping and syrupy AutoTuned crooning to capture the feeling of gloom. Melodic songs like “Red Bottom Sky,” “Silver Arrows” and “Hunting My Own Skin” create a feeling of distance with the use of AutoTune. Yung Lean combines this distance with psychedelic lyrical landscapes that are punctuated by short allusions to heartache. On more rap-oriented tracks, like the opener “Muddy Sea” and the closing track “Yellowman,” Yung Lean uses his flat, emotionless flow to the same effect. A moment of brilliance on the album is the penultimate track, “Agony,” where Yung Lean is at his most emotional and raw. Set against a simple piano melody with lyrics grounded in reality, “Agony” perfectly expresses heartache and isolation. Yung Lean’s usually monotonous voice, cracks with pain and an ethereal children’s choir joins him as the outro fades into haze. Despite these highlights, “Stranger” is set back by tracks like “Drop It/Scooter” and “Iceman,” among others, which feature overly repetitive hooks. The general concept behind these songs is to create a sense of apathy through repetition. However, to the ear, they quickly become boring as the tracks stretch on. Many other artists like Lil Uzi Vert and Nav have recently employed this formula to such an extent that it doesn’t sound unique coming from Yung Lean. With “Stranger” Yung Lean has put forth his most complete album yet. However, I think it would be a mistake to say that this album pushes his music forward in any major way. On “Stranger,” Yung Lean often reverts back to his tested sound. Yung Lean might be the original “Sad Boy,” but the popularity of his style necessarily means evolution. As new artists come into the scene and expand upon Yung Lean’s ideas, one wonders if he can keep up. “Stranger” is a decent album with some quality music on it, but it still leaves Yung Lean’s role in the future of hip-hop in question.